It’s time for summer barbecues—have you had your meat, veg, and halloumi kebabs yet? 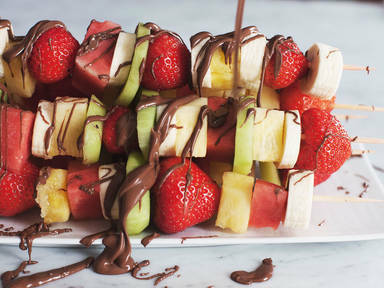 Why not finish off your meal in a fitting fashion with our fruit kebabs? Lots of fruit, with a little bit of indulgent chocolate. Welcome to your new favorite summer dessert.